Union Public Service Commission has issued notification for conduction of various examinations under Civil Services for the year 2013. Application form is welcomed from all over the country for recruitment to the posts in various Public Services fields. Following are the details regarding the exam. A candidate who wishes to seat for the exam must have completed his/her graduation in any discipline from a recognized university or from deemed university. Candidates applying for the examination must have completed 21 years of age and should not be older than 30 years as on August 2013. That means he should not have born before 2nd August 1983 and not later than 1st August 1992. Candidates are needed to pay the fees of Rs.100/- along with the application form. Payment can be done either offline or online. Online – For online payment a candidate must use credit/debit card issued by SBI. Net banking is also permitted. Offline – For payment through offline mode candidates must download challan slip after filling up of the form. Challan along with Rs.100/- can be submitted to any SBI branch all over India. Application form can only be filled online. 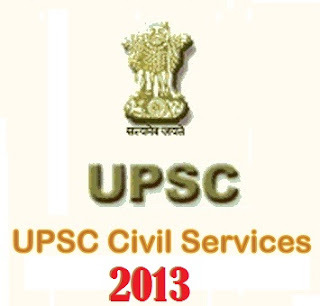 For filling the form candidates are required to visit the UPSC website www.upsconline.nic.in. Candidates must fill all the mentioned mandatory fields and submit the form. After submitting the form choose payment mode. After doing the payment registration process is completed. Selections will be based on Preliminary and Main examination scores. Based on the ranking candidates will be called for Interview. Candidates will be selected on the basis of their combined scores (written + interview) according to their merit rank. pattern, marks, subjects etc. UPSC has made certain changes in its exam pattern from this year. For details regarding the new exam pattern read the article “UPSC new exam scheme”.